Madrid (AFP) – Chelsea boss Antonio Conte blasted Premier League schedulers over his side’s short turnaround from Champions League action before facing high-flying Manchester City in a top-of-the-table clash on Saturday. Conte’s men put in a brilliant performance to inflict only Atletico Madrid’s second Champions League defeat on home soil in 24 games on Wednesday, when Michy Batshuayi’s 93rd-minute winner sealed a 2-1 victory. 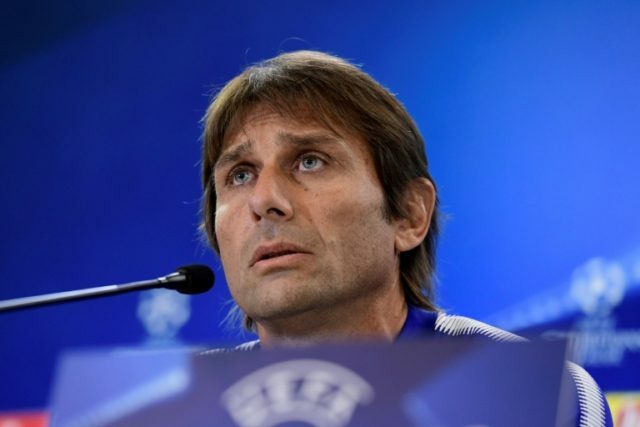 “I think we are a bit penalised and in this case, it is very important to analyse, before taking these decisions, the different situations of the team,” said Conte. “Man City is a really strong team. They are scoring a lot of goals, they are in a good moment of form and we have to prepare well (for) this game because it is very important. “Before taking this decision someone must analyse very well this situation. Conte was far more content with Chelsea’s display as they battled back to claim a well-deserved three points despite falling behind to Antoine Griezmann’s penalty five minutes before half-time. Former Real Madrid striker Alvaro Morata stretched his scoring streak to seven goals in as many games with a deft near-post header from the outstanding Eden Hazard’s cross to level on the hour-mark. “It is very difficult when Atletico Madrid score to come back, but despite this we deserved to win because we continued to play with good personality,” added Conte. “To score for a striker is always important for your confidence but it is more important they understand this way to play is right,” said Conte. In stark contrast to Chelsea’s euphoria, defeat leaves Atletico, who have reached the Champions League final in two of the previous four seasons, struggling to make it out of Group C.
“They were better in every aspect of the game,” admitted Griezmann. “We have a lot more games to play and we have to try to win them all.